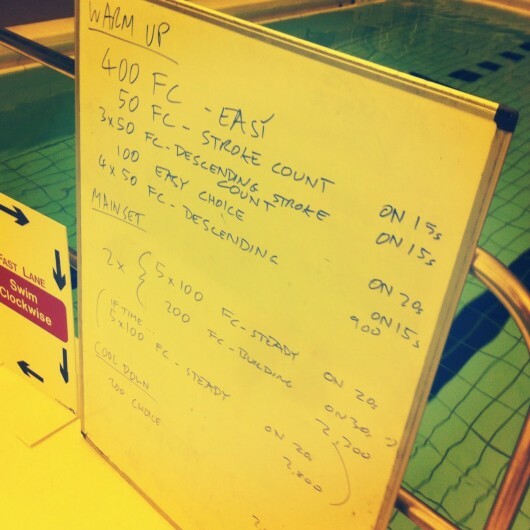 Here’s this week’s pair of swim session coached for the local triathlon club. 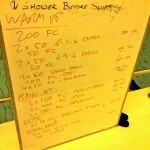 For a change there was no pull buoy in this Tuesday’s session. Instead lots of shorter reps at a steady pace with the odd building 200. 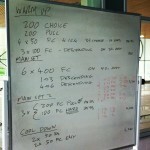 We worked a little on stroke length and then pacing to open the session. Distances on this one are easily adjusted by repeating the main set. Numbers are starting to pick up again – 3 swimmers at this morning’s session; not seen that since December. 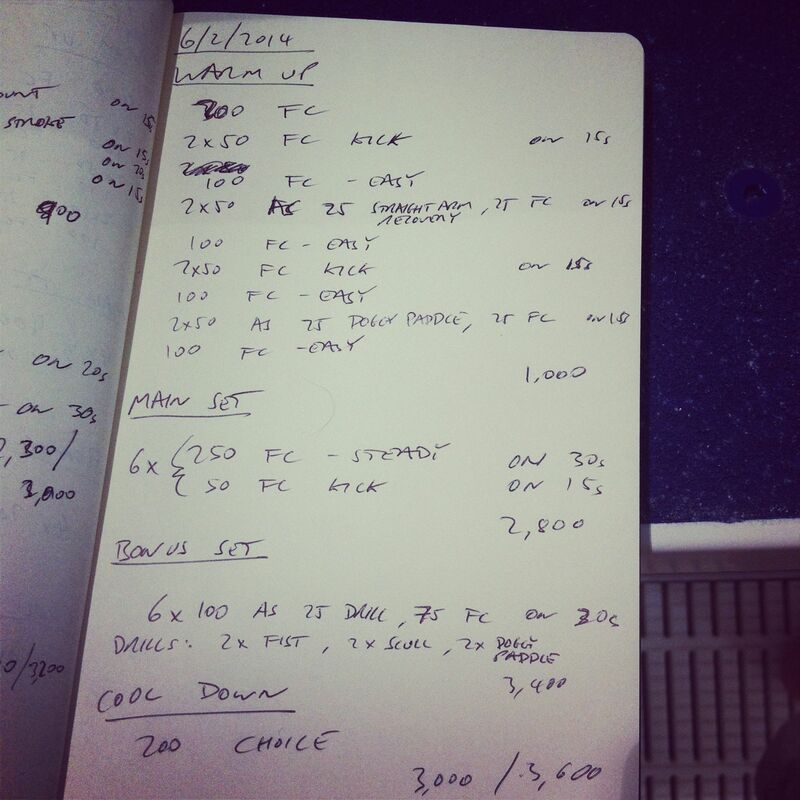 Today’s set was written with one swimmer in mind and the frequent lengths of kick are there to focus them on a tight, controlled kick driven from the glutes. 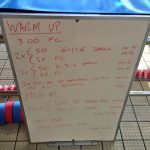 Many of the swimmers I coach have disruptive kicks that increase drag and waste energy so if I include some kick it’s to help develop better form. 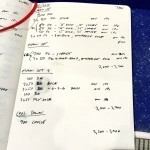 Not that it works in isolation, frequently a poor kick is also a sign of balance issues in the stroke; in this particular swimmer’s case that’s definitely an area we need to work on.